We’ve just found a new downside to owning beachfront property. The Smithsonian reports that a dead blue whale has washed up on the beaches of Trout River, a small town in Newfoundland whose residents are worried that its corpse is filling up with methane at an alarming rate. In fact, the 18-foot whale corpse is filling up with methane so quickly that it’s now apparently bloated to twice its original size. 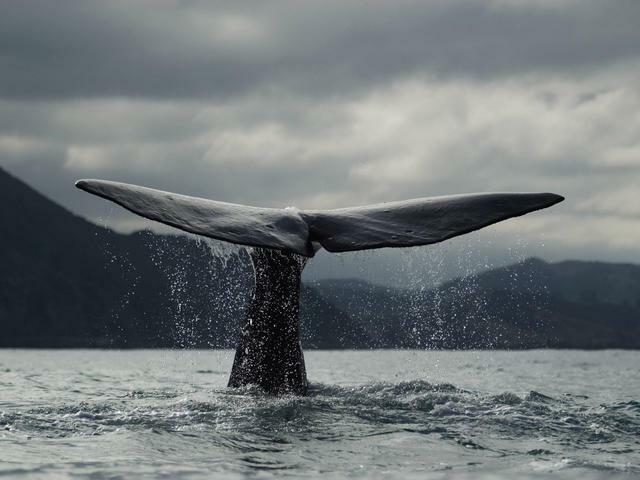 It goes without saying that an exploding whale is a potentially fearsome and smelly prospect and residents in the town are justifiably worried about it. One Trout River resident tells The National Post that she’s had to warn local children against doing anything to the whale’s corpse that could trigger an explosion. Of course, as The Smithsonian notes, an exploding whale probably won’t literally “blow you to smithereens” and is much more likely to simply cover you with whale innards, which is admittedly a less than enticing prospect. The town is apparently still debating about what to do with the carcass, although it does seem that time is running out as the whale’s body continues to expand.